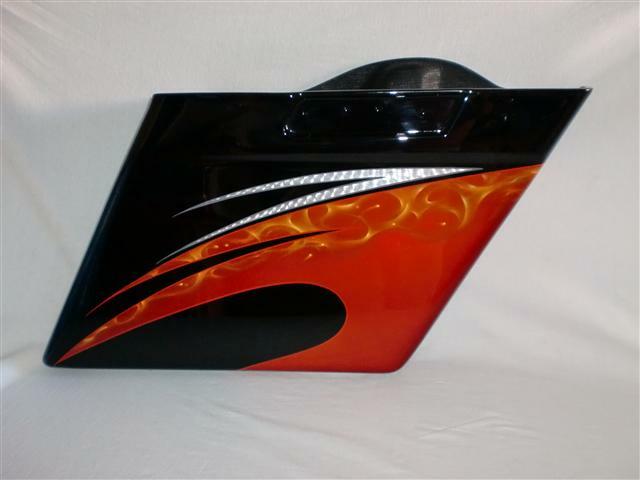 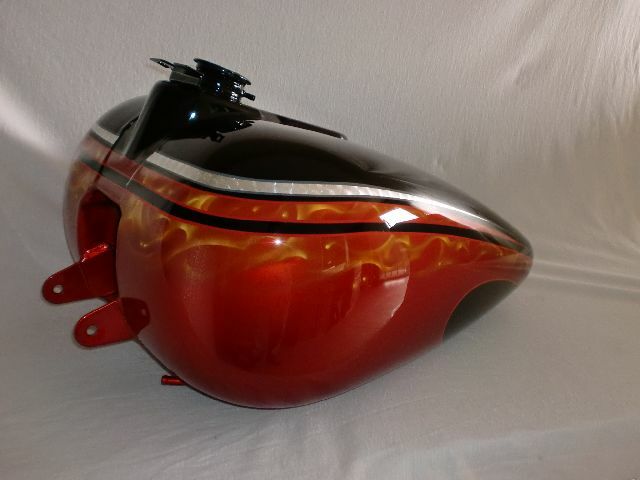 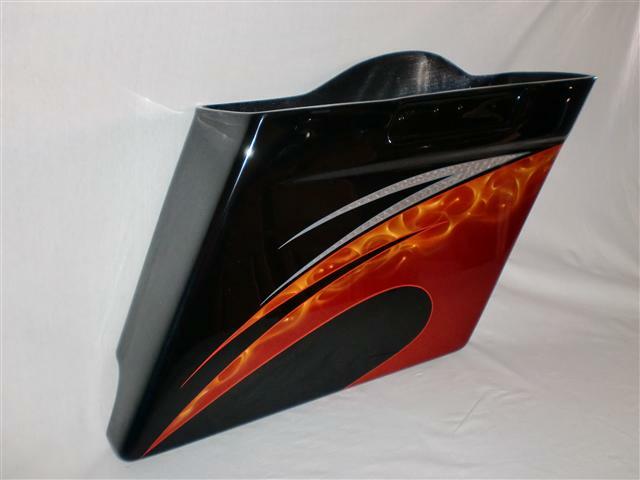 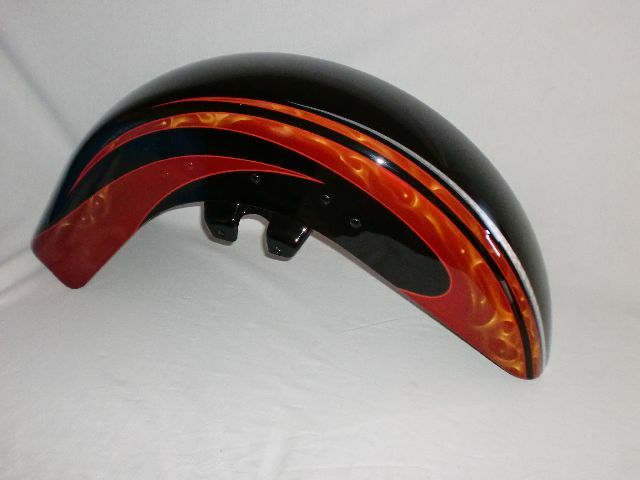 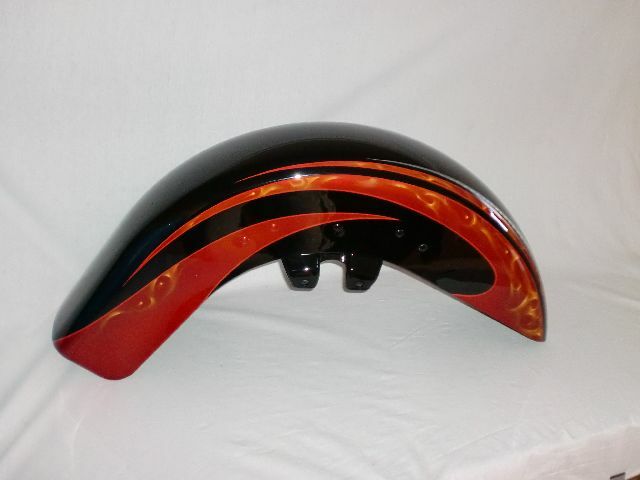 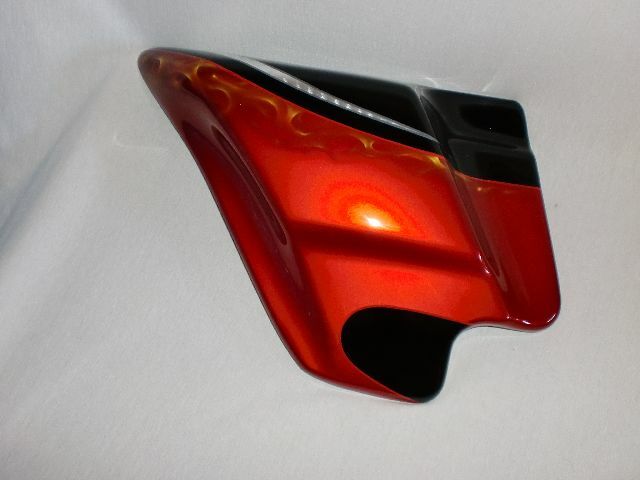 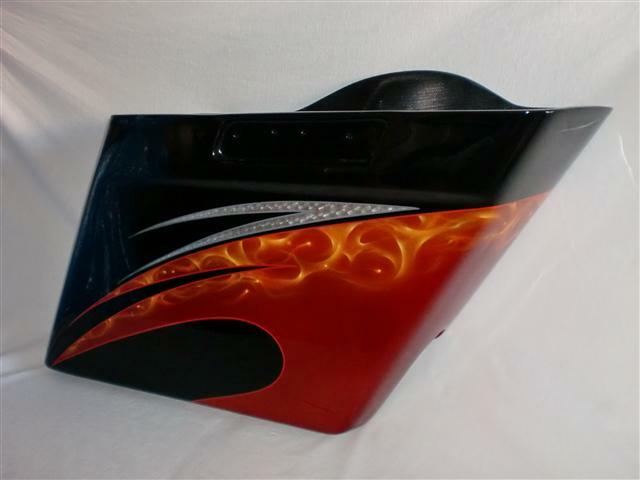 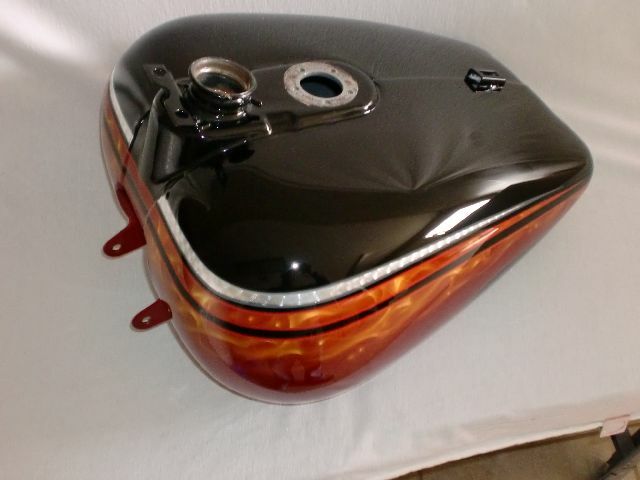 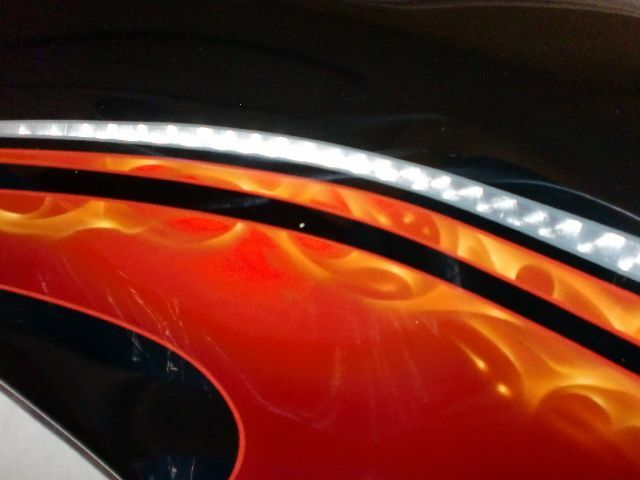 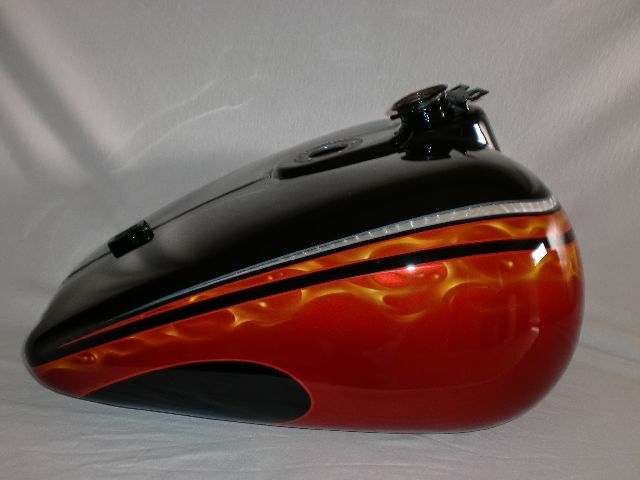 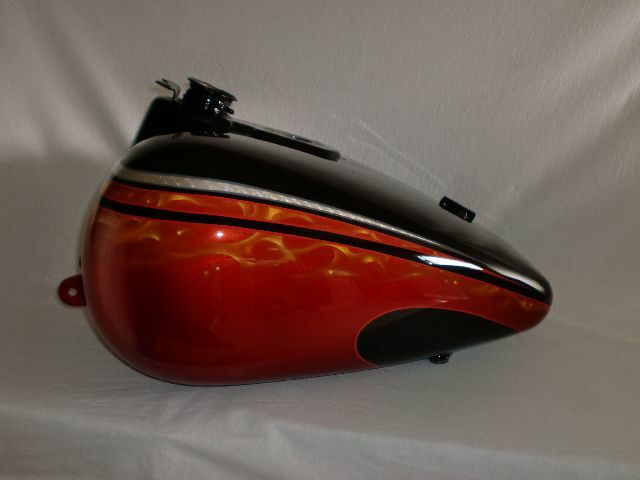 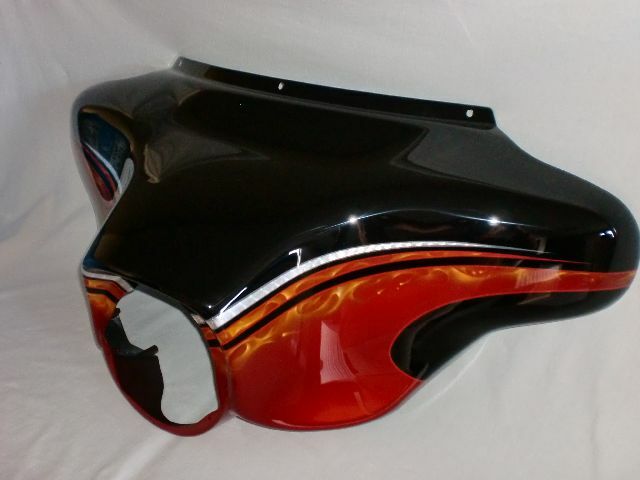 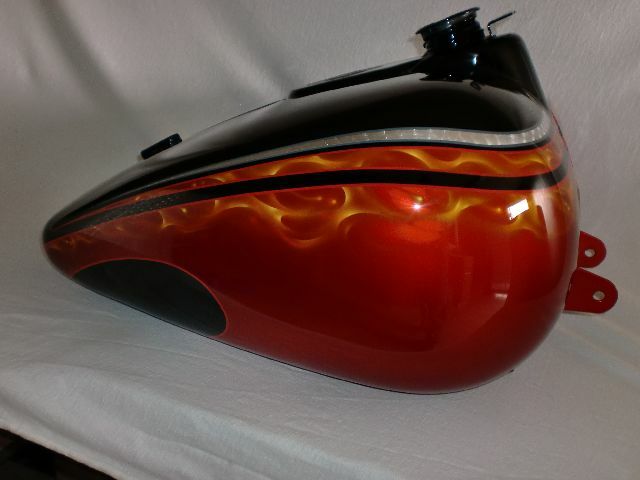 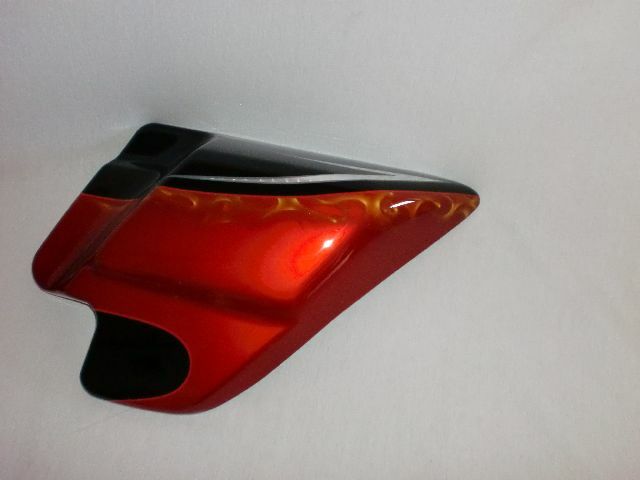 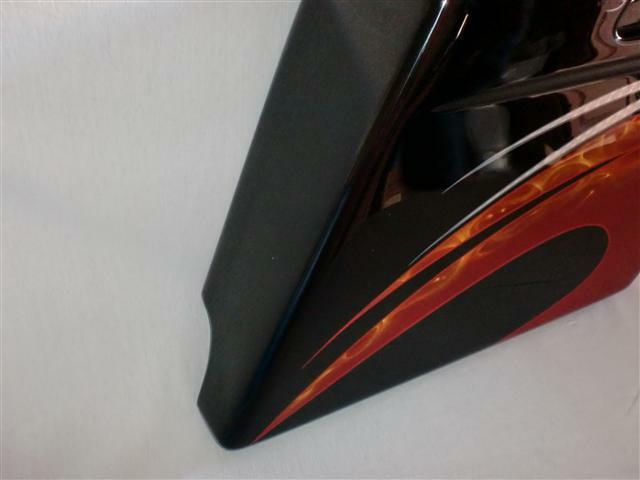 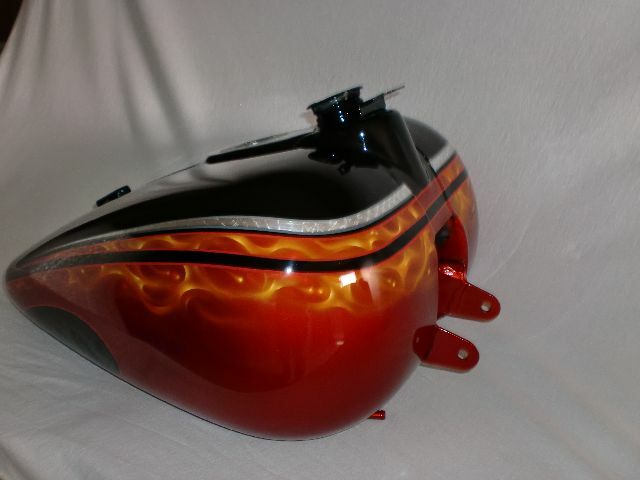 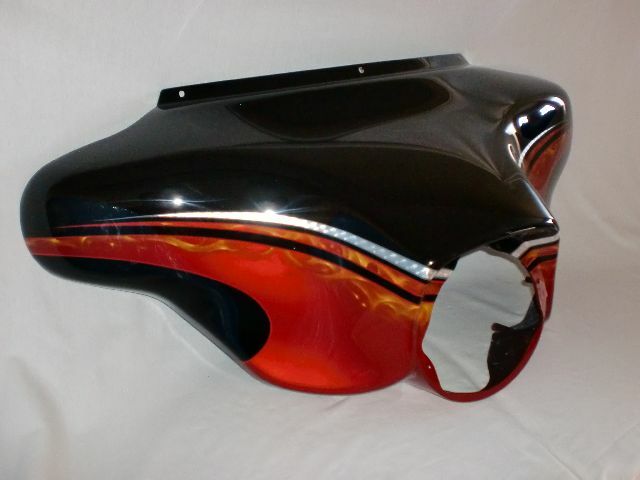 Tangerine orange graphics over black base coat, with real fire across the top of the tangerine graphic. 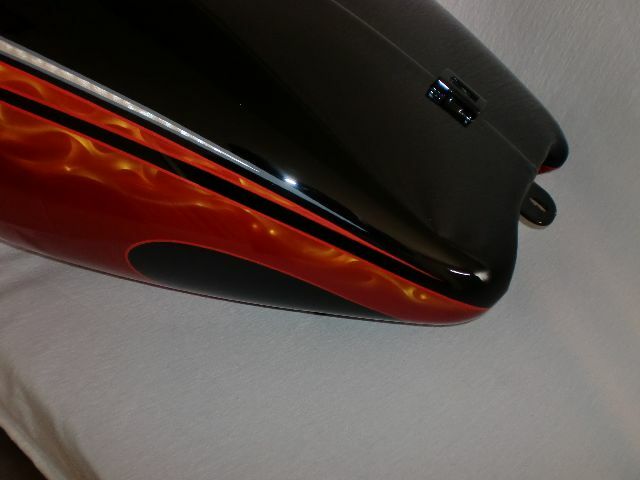 The black base coat has some spun silver leaf in al the right spots. 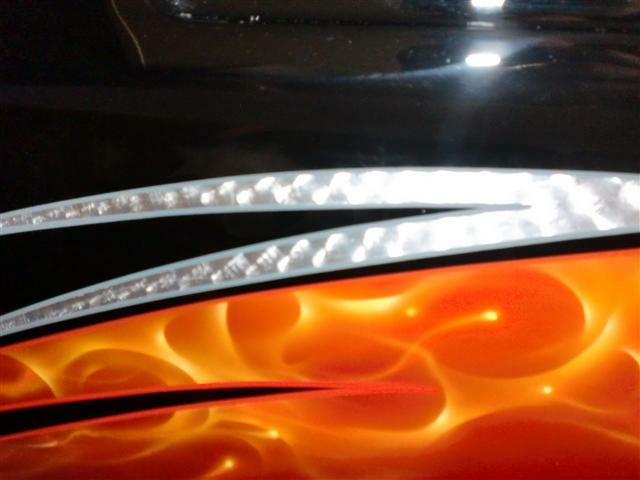 Truly a superb design. 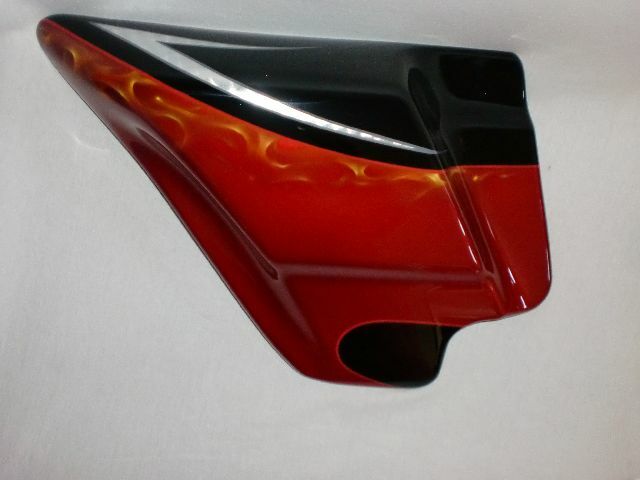 Look at some of the other designs here in the graphic designs, and see all the colors we have used with this design black, and candy red are just a few.